The arrival of Glam Squad Express has caused quite a stir in Newcastle and the place isn’t even officially open yet, well, it is, but it isn’t….. If you’re not already familiar, Glam Squad Express is a Collective, a team of professionals skilled in the art of make-up, hair and nails. Think Kardashian and you’re on the right track, Kim regularly credits her #GlamSquad for her signature make-up look and Killer Kontour and says she won’t travel without them. Well folks, that’s exactly the idea behind Glam Squad Express, a one stop shop to get you event ready in a flash, Kardashian style, and with appointments available late into the evening, this is one place that should absolutely be on your radar. With the official launch of Glam Squad Express still a month away, the team are using their time to upskill and perfect their techniques and this weekend was all about the signature blowout. 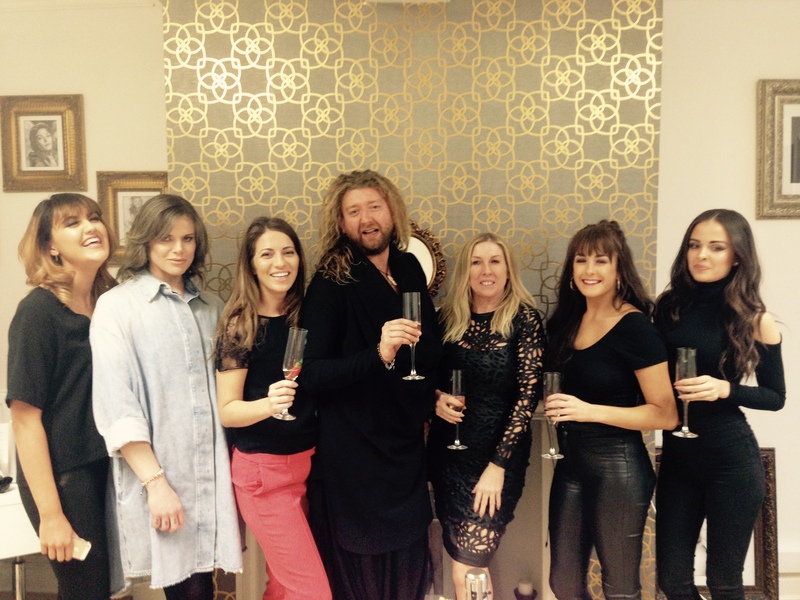 With the help of two of the UK’s top Hair Stylists from Urban Retreat, Harrods, the team were treated to a masterclass in creating and mastering the perfect bouncy blowout. David Fletcher (Fletch) and Tracey Jones from Urban Retreat, Harrods, bring with them a wealth of experience, having worked with everyone from Ashley Roberts and Abbey Crouch to Frankie bridge and Kelly Brook, their list of credentials is endlessly impressive, and with extensive Fashion Month and TV styling experience, who better to learn from, right? Glam Squad Express Stylists Rachael and Rebecca were given an intensive, hands on Blowout Masterclass, with models brought in from local agency Tyne Tees Models, the reigning Miss Newcastle and reality TV stars from hit MTV series Geordie Shore, (with gorgeous Geordie Shore star Chantelle Connolly crediting it as the best blow-dry she’s ever had) the girls were taught to recreate the perfect bouncy blowout requested so often in salons up and down the country. So if you have shorter hair, like me (not through choice) and you thought this wasn’t something you could tap into, then this should be music to your ears. Don’t believe me? How about some visual evidence…. Convinced and want a piece of the action? Then you’d better get yourself booked in with the newly upskilled #GlamSquad! For the month of April and up until the official launch, Glam Squad Express are running a special introductory offer, £35 for both hair and makeup in one appointment. That’s right Voyeurs, you can kick back with a glass of fizz while your own personal Glam Squad work their magic on you; take in a movie on their big screen TV, catch up on emails or whatever takes your fancy. I did exactly that this weekend and channelled my inner Khloe Kardashian. To book click here. Next up for the Glam Squad……… Braids! NE2 4PQ, right around the corner from the Civic Centre. I definitely need to book an appointment, your make up looks lovely Pixie!